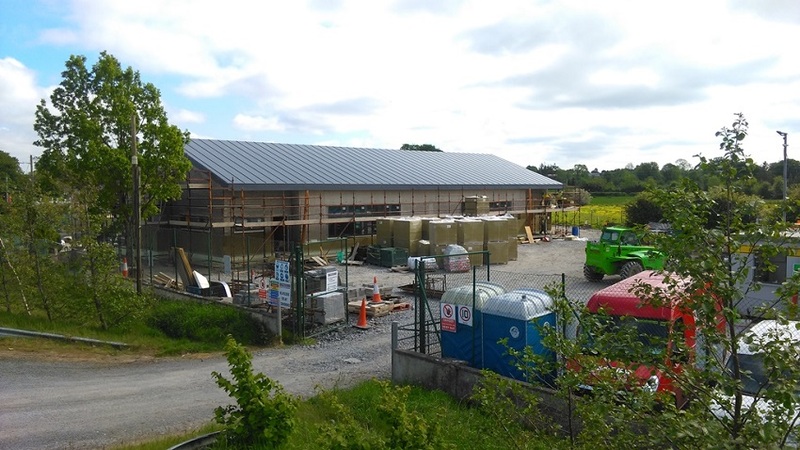 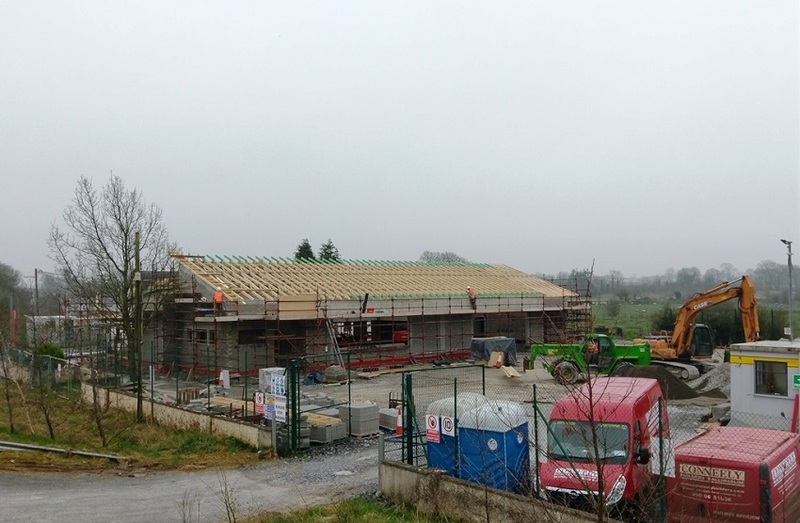 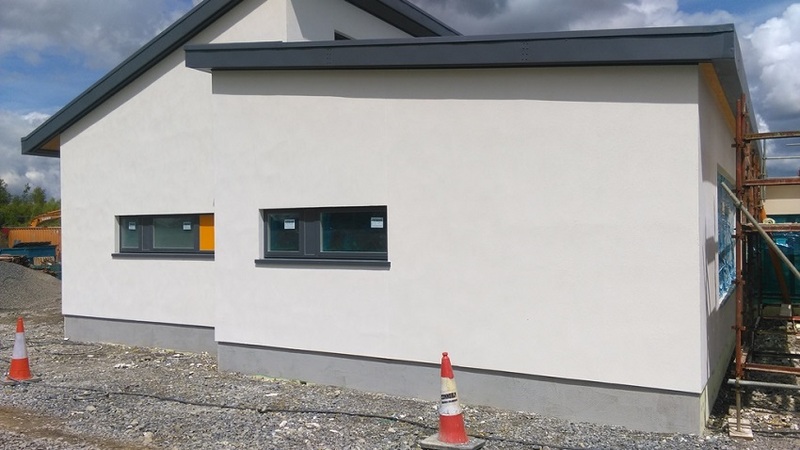 This project consists of the construction of a 4 classroom extension and extensive refurbishment of the existing school building including new reinforced concrete floors, complete new roof and M&E fit out as well as all new internal finishes. 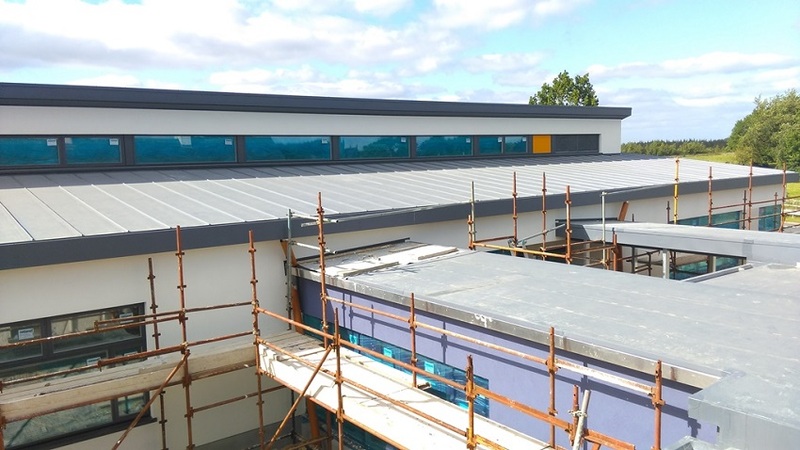 The school will have 4 large classrooms, resource room, learning support room, staff room, head office, toilets, shared space, internal and external link corridors between old and new sections, a paved outdoor courtyard, tarmacadam basketball court and extended car park with public lighting. 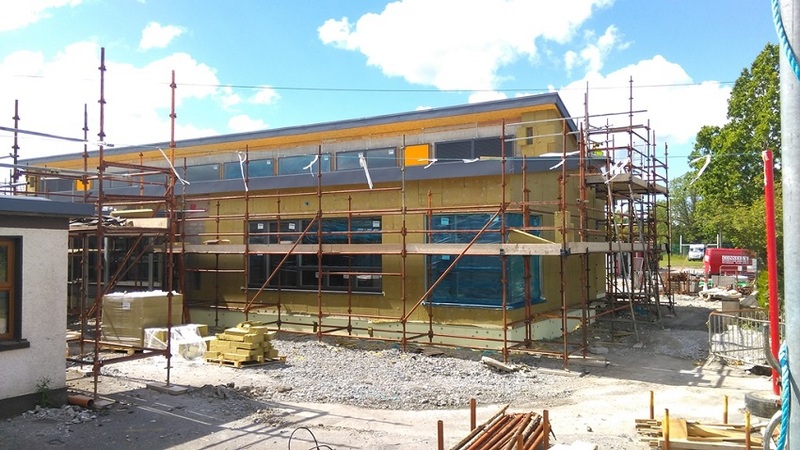 This project aims to achieve very high energy efficiency and is employing numerous construction methods to achieve this, such as 230mm external rockwool insulation with an acrylic plaster finish. 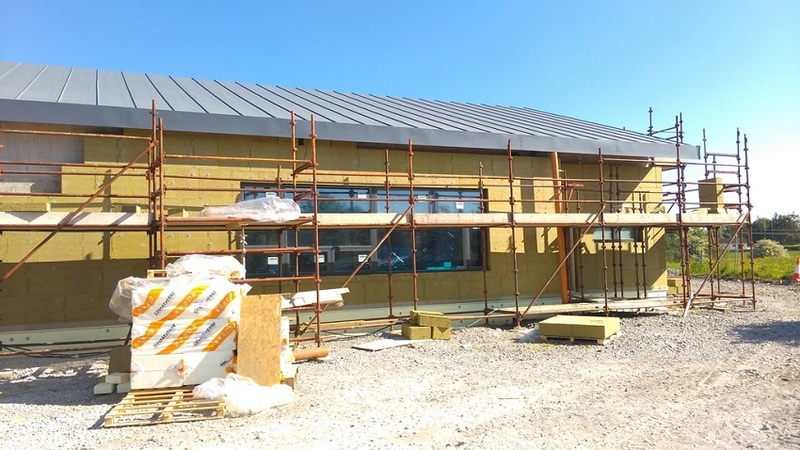 It also has triple glazed Alu-Clad windows and a light weight, warm toof make up consisting of a mechanically fixed rubber membrane roof finish with 440mm metac wool insulation between prefabricated timber trusses overlaid with mineral fibre wood insulation board and breather membrane. 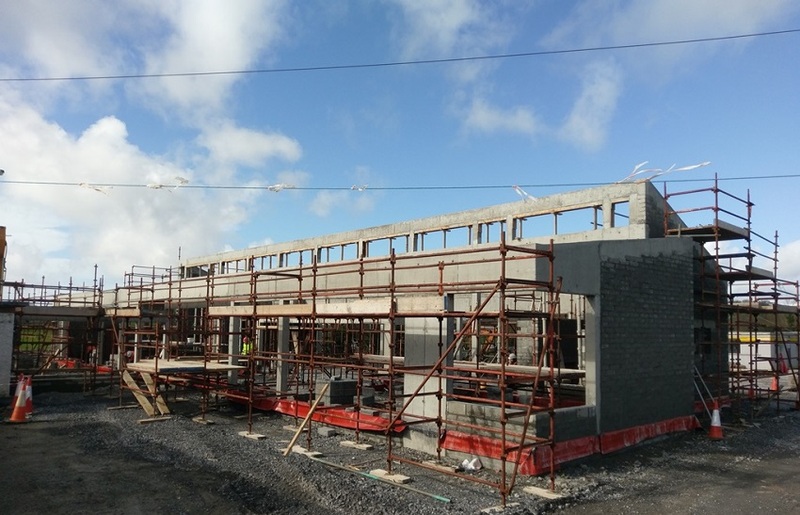 The school will also have independent heat recovery ventilation systems for each classroom and 18 nr. 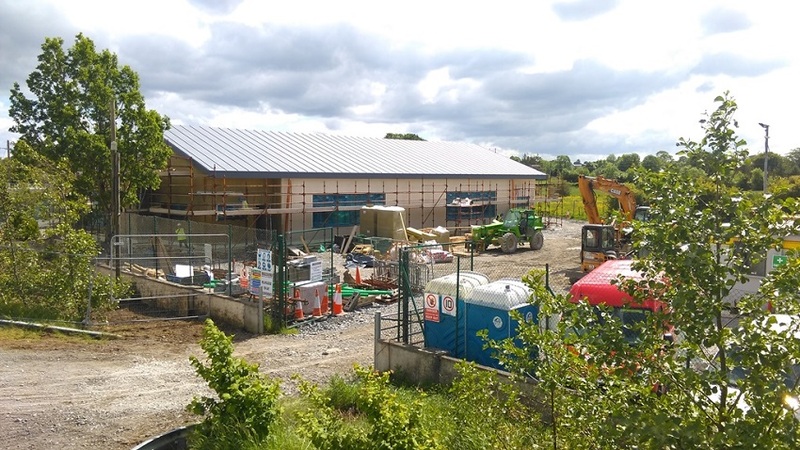 PV solar panels, generating renewable power for the school. 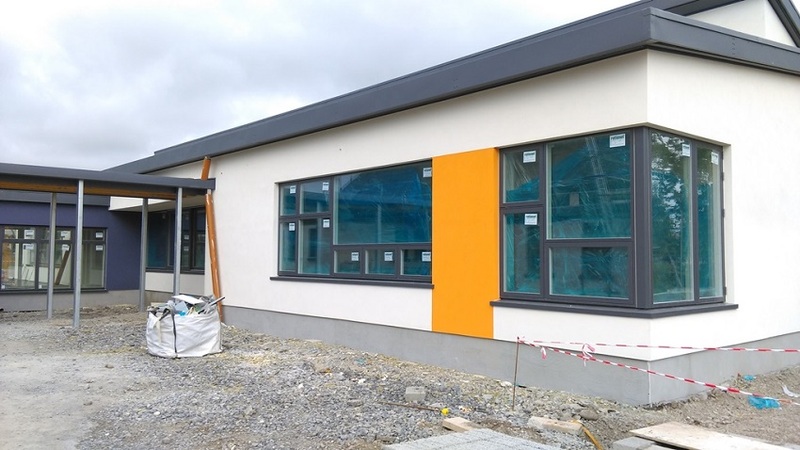 The school aims to be one of the first NZEB (Near Zero Energy Building) rated schools in the country. 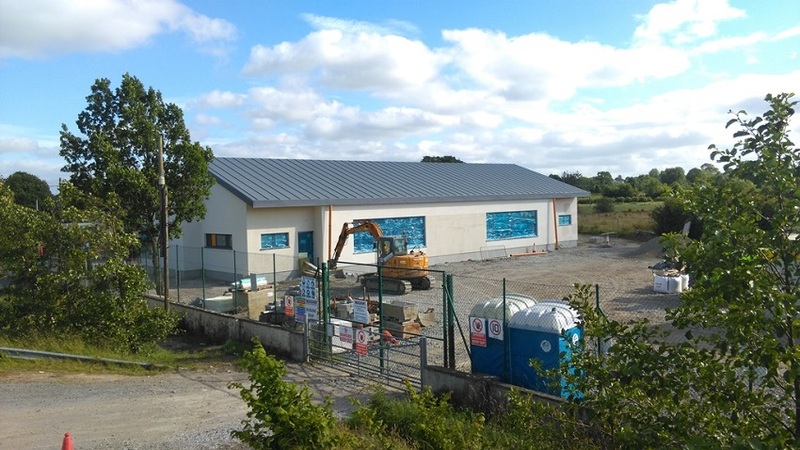 We will also be installing a rain water harvesting tank, which collects rainwater from the new roof for re use within the school to flush toilets and reduce the school’s water costs.